I am just having a had time w/ the offset and don't want to go that route. 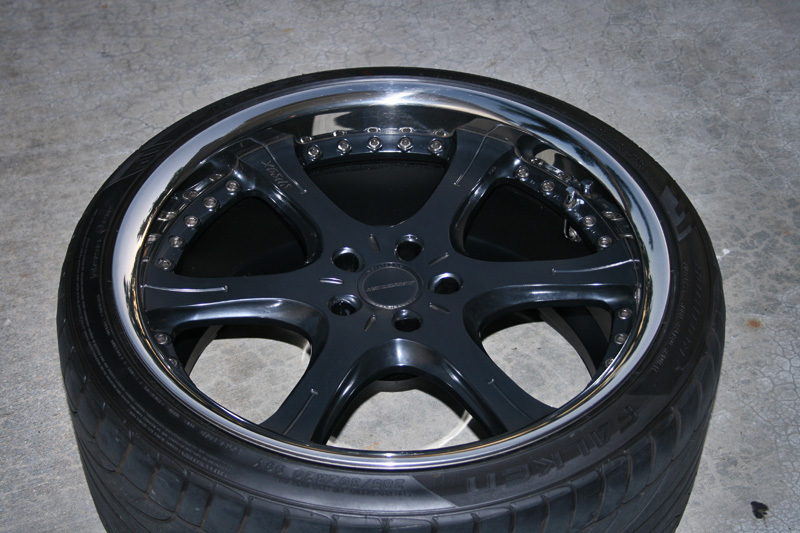 There the only rims here in the US, and imported from Japan. i am in the LA area i am not going to ship. isnt this kurtis's old wheels? What are u having a hard time with they arent aggressive..
Little more info would help you. What company makes these wheels? Visit j 4 lD's homepage! This is from the other post. You can run a 225/40 f and 245/40 rear and it should fit. It should fit maybe but i still have to deal w/ extra passengers that i carry in the back seat and it will still rub. So, i know i just bought them but now i am going to sell them. I'll just go w/ 19". N/e buyers? so bump for a homie!!! I don't think u can roll the fender. the 2007+ fenders r welded on there. all these people and no one want to buy?